A Storyville documentary: the lavish party thrown by the Shah of Iran in 1971, which marked the break between the so-called 'king of kings' and the people of Iran he reigned over. 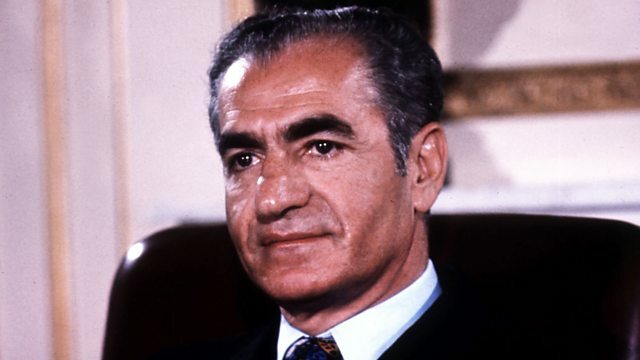 In 1971, the Shah of Iran, the self-proclaimed 'king of kings', celebrated 2,500 years of the Persian monarchy by throwing the greatest party in history. Money was no object - a lavish tent city, using 37km of silk, was erected in a specially created oasis. The world's top restaurant at the time, Maxim's, closed its doors for two weeks to cater the event, a five-course banquet served to over sixty of the world's kings, queens and presidents, and washed down with some of the rarest wines known to man. Over a decadent five-day period, guests were treated to a pageant of thousands of soldiers dressed in ancient Persian costume, a 'son et lumiere' at the foot of Darius the Great's temple, and the opening of the Azadi Tower in Tehran, designed to honour the Shah himself. Every party leaves a few hangovers. This one left a country reeling, never to recover. It crystallised the opposition, led by the Ayatollah Khomeini. More than any other event, this party marked the break between the king of kings and the people of Iran he reigned over. This question has dogged me since film school. Both are important. Great stories have great characters and great characters make for great stories. My family left Iran after the Revolution. I grew up listening to stories about the Shah and always wanted to make a film about him. The problem was how to approach it differently (there are already some great films about the Shah) and give it contemporary resonance. In Ferdowsi's 'Book of Kings', I came across a story about a mythical King who ruled Iran for something like 134 years. One day while he's walking in his gar-dens, a div (devil) disguised as a courtier fawns over him, telling the King how great and glorious his reign is and how he should be ruling from the heavens. The King seizes on the idea and runs with it. He orders his men to build a golden throne and rears eagle chicks on lion's meat. When they are fully grown, powerful eagles, he ties one to each corner of his throne and hangs a piece of meat above their heads. As the birds flap their wings to get to the meat, the throne rises towards the heavens...but eagles are eagles. They soon tire and the King comes crashing down to earth. This episode made me think of the Shah and the Party at Persepolis and threw up an interesting angle for exploring his story. It was surprisingly quick. I was talking to Nick and Kate at Storyville at the time about the BBC buying my previous film, 'The Spaghetti Racket' when I first men-tioned the project. The next thing I knew I had 5,000 pounds and just over three weeks to cut a trailer and pitch the story at a film festival to potential backers. Af-ter the pitch, the project had a sort of momentum of its own, bullied along by Lawrence Elman at Amber Television who refused to let us flag. Just how big a party it really was, and that there’s a little Shah in all of us. My iPad and a hacked Panasonic GH2, a very unintimidating camera. I'd like to make a documentary set in the future. The Islamic Republic of Iran. It was so difficult it didn't happen.